The highlight of the week was really non-academic: we got to host the Class of 2014 for the orientation we received in April a year ago. In a proper student timing fashion, when a day before the event you’re not sure what will come out and some of the slides getting still edited by the speaker at the time he is being introduced on stage – I think we eventually put on an all right show balancing more serious talk about academics and transitions with some glimpses into the less serious side of life we’ve had too. (Some videos of the performance of our class’ house band The Spillovers are online here). Personally, it was especially heart-warming to hear from a bunch of incoming Sloans that they have found this blog and some other writing from our class useful when researching about business schools, Stanford and even deciding to join the Sloan format in particular. Frankly, I did not consider this as a goal for ongoing writing throughout the year originally. About a year ago I decided to keep posting rather to keep in touch with friends (especially back in Estonia) as well as from the more generic life philosophy that while you’re generating content (such as the class notes) for yourself anyway, you better have a clear reason why you would keep it private if there is any likelihood of someone else potentially benefitting too. So when this actually happens, it is a cherry on top. Cheers to the 2014-ers and any future GSB colleagues reading this, then! Self-monitoring – high scorers are much better bridgers of social gaps, they like to hang out with other people and are able to “chameleon” themselves to be part of different groups. Fare less well in cliques, they don’t want to be there, rarely live in their home town and hang out with high school friends. Francis Crick and Maurice were part of the same social clique of English researchers. As the latter was working on molecular structure of DNA, it would have been offensive to get into it. Watson came from outside that circle and had no such limits. Crick & Watson together, plugged into 3 different sources of important nuanced information wrote the double helix paper weeks before another group could have discovered their triple helix manuscript’s errors. (Actual Size) – (A+B+C+D+E) = Effective Size. To grow a network (and efficiency), spot redundancies and grow size. Not just latter. Exercise for practical network mapping: keep a stringent log of all your meetings over a few months: who did you meet, when did you see them last, which other people where there, did you learn anything new from this interaction? Think about diversified clusters, more than ties. You trust someone when you commit to a relationship before you know how the other person will behave (contractual terms incompletely specified). Distrust is a reluctance to commit without guarantees. Investing in people with whom you think good things will happen before you know what those things are captures the essence of brokerage. Building relationships to put yourself at increased risk of productive accident. Structural holes decay, structure is unstable. For bridges the curve is sharper, because there is less in common between you and bridge per definition, there is competition (maybe some better bridge appears). There are different brokering strategies: introducing people who need to talk or nonchalant “don’t worry about this, I’ll get it done for you you” which keeps the broker as a single known node for you. Differentiate between social ties that are person to person VS position to position. Structural holes are generally good for resource access and bad for shared identities. Social graph is completely agnostic to what kind of functional skills you as a person have. Latter is a question of category spanning. Way to compensate is to specialise + have a diverse network. In this context being a manager (for ex CEO) is a specific skill, not being a generalist. Signals link observables to the unobservables. Important qualifier for signals: it is hard to fake. A Stanford diploma, being an olympic winner, etc VS wearing an expensive suit to signal being generally well off. Matthew effect – rich get richer, poor get poorer. Application in academia: those who get awards get access to better resources and are more likely to eventually become better in what they do. Statistically significant results with 95% confidence: t-stat > 2 (or 1.96 to be precise). t-stat = coefficient / std error. For a variable with suspected non-linear relationship, add a data column with that variable ^2. This will capture four different curves of a matching line (parabolas, hockey sticks), depending on the sign of the coefficient of the variable and its square that come out of a multiple regression. Before/after comparisons are often flawed: for example looking at the effect of a promotion, but not controlling other variables. And these others can be very hard to find (how do you include increase macro trends, overall increase of positive image of brand). Comparisons of regions with and without promotions are mitigation – difference across time and across comparable groups at the same time. To measure regulatory effects to behaviour (say, cell phone usage while driving) you can not just compare California to Nevada. Smarter to pick smaller bordering regions on each sides – similar cars, similar demographics, different laws on two sides. Unpredictable sources of variability in production process can be uncertain, random, probabilistic. All can need a slightly different response/planning. Inventory in the context of operational processes is the number of flow units in the process at a given time (work in progress). Not to be confused with the inventory of output product, which accountants see as an asset – operational inventory is rather a liability. Little’s Law: Average Inventory = Average flow rate * Average flow time. 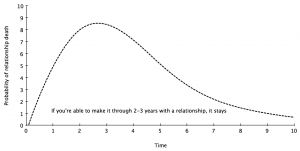 Variability will lead to backlogs if the arrival (or demand) rate is greater than capacity. Logical to attempt to add processing capacity to bottleneck – but not the only/cheapest way! Sometimes the cheapest way to get pile-up due to bottleneck constraints under control is not to invest in removing bottlenecks, but to negotiate with suppliers of flow items to deliver the same amount, but at a specific schedule (enough in the morning, break after inventory pileup, etc). At other times, add storage capacity to enable waiting. Or change product mix to maximise the revenue & margin generated with bottleneck resources. If you are a farmer, you must like gambling – because so many of their business successes depend on luck anyway. That’s why there can be cultural objection to attempts to remove gambling from the system, even if economically effective. First resistance to Jive’s price point should have signalled that they were talking to the wrong customer. Instead, it instilled a sense of panic that they were losing traction in the market. Thing to do in a first all hands meeting after layoffs: put up a slide with names of every person who left, so people stop looking around the room wondering about it. Quotas: on revenues, bookings or margin? 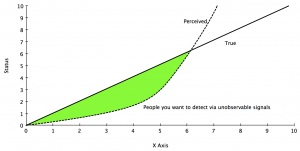 Sales learning curves are per product, not per company! Early stage sales are just building a business not filling a process, get people who are exited about that prospect – MBAs? Abstract: Because new product launches often take longer and cost more than expected, many promising offerings are prematurely aborted. Smart companies give themselves time and money enough to climb the sales learning curve before ramping up the sales force. Traditional methods of sizing required sales force (starting from margin contribution if they sold their “target quota”) fail startups. Need to start from the opposite end, minimal contribution expectations and scaling up only once the existing reps cover their own costs. Sales yield: average annual sales revenue per full-time, fully trained and effective sales rep. 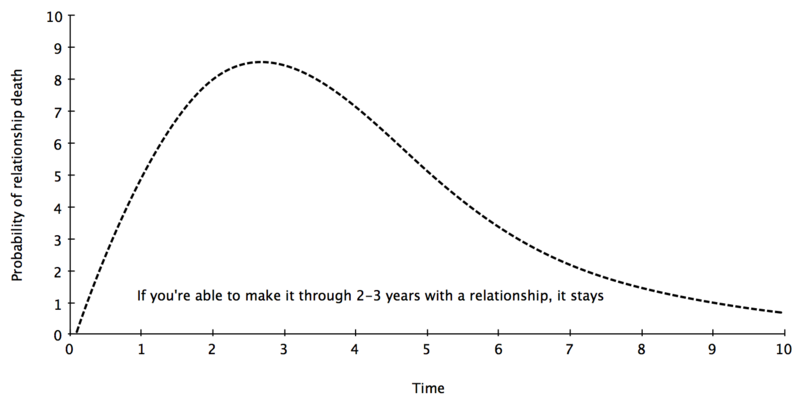 Shaped as an S curve, grows much steeper the more mature the product (follow-on/upgrade) and market. Initiation phase: from after the beta test to break-even point (sales yield reaches a point where revenue per sales rep covers their cost). Pointless to assign large quotas and do heavily commission-based plans with large teams. Still could use a few (3-4) sales people to ensure problems encountered are not just bad hires. Needs “renaissance reps” who sort out the unknown and facilitate product improvements. Transition phase: From break-even to “real traction” (depends on industry, but consider 2X sales rep cost in sales yield). Developing a repeatable sales model. Renaissance reps still learn, new ones can be more “regular”, but still contributing to the evolving sales model. Execution phase: hire “coin-operated reps” (require nothing more than a territory, sales plan, price book & marketing materials) as fast as finances allow. Measures – revenue? new clients? units? margin? Avoid designing potential clawbacks into the system: everyone feels bad, demotivating, hard to admin. Conflict management in portfolio: Yahoo in Sequoia Fund 6, Google in Sequoia 8. To make it more interesting even the same partner on both boards. Took a few years before they became fierce competitors, at that time Yahoo already public – fund distributed the shares to LPs before Google IPO, etc. Two-tier fund structure: named year funds raise from LPs (1.35B in 2010) and distribute to “primary funds” (Venture China, Venture US, Growth China…). Only latter funds take management fees. LPs would like to, but don’t get to decide on granular diversification. Syndication tends to go away in internet boom times, currently again most deals are syndicated. As an entrepreneur, worth asking a VC for their fundraising prospectus as one of the inputs of understanding what matters to them and how they talk about it. Definition: Search fund is a pool of capital raised to financially support the efforts of an entrepreneur(s) to locate and acquire a privately-held company for the purpose of operating and growing it. Stanford Center for Entrepreneurship runs a bi-annual study. 150 funds since 1983. First year with more than 10 funds raised was only 2003. As an asset class, search funds have achieved 11.1X ROI by 2011 (down from 13.5X in 2009) and 34.4 IRR (since 2001 has fluctuated 32..38X), but median fund returned 0.8X of initial search capital. Top fund returned 500X. 2/3 single principal, 1/3 partnership. BUT, top quartile of actual return outcomes is 75% of partnerships and lower quartile 75% solo! Sample raise for a 2-person search fund team: aiming to fund 2.5y search (industry average 18mon+), 15 investment units of $35k/each, $525k in total. Daily quotas: each partner should place at least 5 calls a day to new brokers or business owners. 2000 calls over almost 2 years search. When doing diligence of a target company, call your own investors regularly for an update of where you are. Listen carefully to the questions they ask you to build up a deep set of rich questions that matter you can use when talking to target companies in this industry. In the beginning had a list of 12 target geographies that we could be happy with (as personal living location) and girlfriends had veto power. Investors complained this was putting a non-economic limitation to ability to bring them a good deal. Partners had agreed on the titles and division of responsibility in target company (who is CEO, who is President, who controls board, etc) prior to the formation of the fund. Market growth is a huge runway, covers all sins. You can make all kinds of operational mistakes when selling to a market that grows +50%/year. And coming in as a search fund, you expect to make things more efficient, but in reality you will first raise cost: for example as an MBA who knows how to use excel, you need data to make decisions – to have data in a formerly small family business, you need to hire a controller, an IT guy, put in a few systems first. Try run on a company you know you’re not going to invest in ever: company visit, valuation discussions, first draft LOI, etc. So even if you have not bought a company before, you feel and look like having some experience when you’re finally talking to the one you’re actually interested in buying. As an investor you like entrepreneurs who have gone and pitched 75 people to sell their 20 investment units. It tells me something about you, and it has for sure made you better.